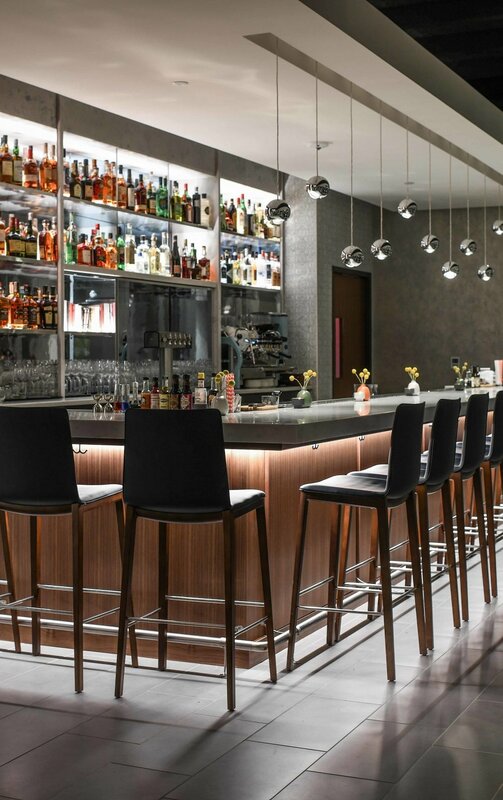 The Restaurant at 1900 features modern American cuisine from award-winning Chef Linda Duerr. Linda’s cooking shows influences of her native New England, as well as Italian and French cuisines. The menu is seasonally-based, and frequently updated according to the best ingredients available. Inventive lunch and dinner specials will be offered. The Restaurant at 1900's wine and beverage lists are adventurous and exciting. The lists include wines, beer and spirits from very fine producers from around the world, ranging from unheralded to renowned and traditionalists to cutting-edge innovators. The lists will include many beverage offerings made from biodynamic viticulture and processes. The cocktail, non-alcoholic and house-made soft drinks list will change frequently as fresh and interesting ingredients become available. Executive Chef Linda Duerr’s skilled technique, artistry and inventive approach belie her low-keyed and humble manner. She has been named Best Chef of the Year by Kansas City Magazine and nominated for the James Beard Foundation award: Best Chef-Midwest. General Manager Keith Goldman is well-known and highly-regarded in Kansas City for his great enthusiasm and passion for stellar hospitality. His welcoming personality and trademark style will set the tone for service at The Restaurant at 1900. Beverage Director Doug Frost, is both a Master of Wine and Master Sommelier, one of four people in the world to have achieved that rarefied pair of designations. Doug is the founder and director of the Jefferson Cup Invitational Wine Competition and consults with winemakers, retailers, and auctioneers around the world. The Restaurant at 1900 draws on the modernist design of The 1900 Building. The “tulip” columns, so distinctive in the overall building design, are also integrated into the entrance of The Restaurant. As the 1900 Building was originally constructed in 1967 for H.D. Lee Jeans for offices, R&D and manufacturing of blue jeans, the restaurant fabrics reflect that heritage. The salt and pepper shakers on display in The Restaurant are part of the collection of the late Rose Karbank. The shakers' whimsy, color, and imaginative artistry are sure to raise smiles. 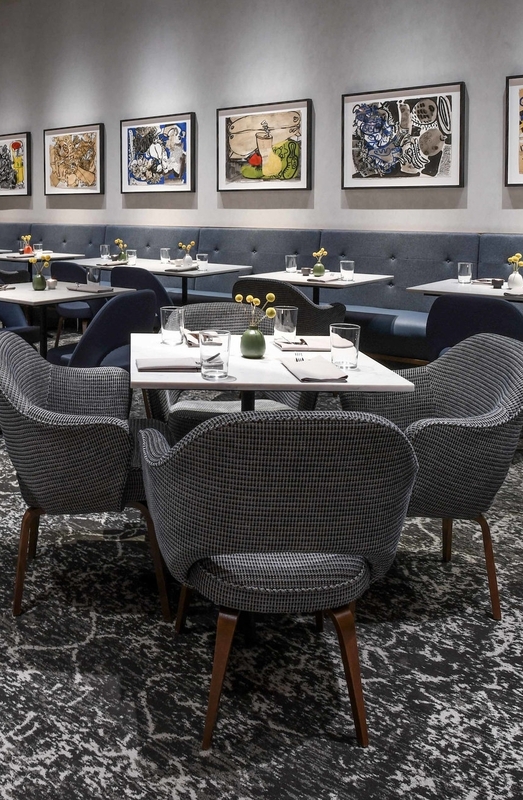 Art in the main dining room and a sculpture in the private dining room are by the late artist and Kansas City Art Institute Professor Lester Goldman. His organic and colorful work sets a good-natured tone to the Restaurant. The 1900 Building is a late Sixties architectural gem recently restored, expanded and transformed by Karbank Real Estate Company into a high-end mixed-use building including offices, multiple performance and event spaces, gallery space and, now, The Restaurant at 1900. The 1900 Building is a LEED Gold Certified “green” project and is state-of-the-art in quality, design and functionality. It follows Karbank’s recent renovation of the neighboring The Barney Building, which also is a LEED Gold building with a mixed-use character. The 1900 Building’s iconic ‘tulip’ columns and its prominent setting make building distinctively recognizable. The site was once the location of the famed Green Parrot Restaurant, open from the 1920’s until the late 1950’s. For more information, visit 1900bldg.com.